Sitting 109 floors high at the Club Lounge at the Ritz Carlton, Hong Kong, Mairesse gets candid about how Champagne Barons de Rothschild has brought three branches of the legendary Rothschild family together, and their mission to produce one of the world's most coveted champagnes. The Rothschild family may compete in banking, and perhaps in wine, but the creation of Champagne Barons de Rothschild is the first project where the three Rothschild branches (Château Lafite Rothschild, Chateau Mouton Rothschild and Chateau Clarke) collaborated on a project. “It is built on, and is an example of, the strength of the Rothschild family dynasty,” explains Mairesse, who meets regularly with the respective Barons and Baronesses de Rothschild. "We don’t just talk about assets, we talk about our plan for the next three to five years—a long-term view to build the brand and achieve our goal of becoming one of the world's leading premium luxury champagnes." From the beginning, the Rothschilds knew that they wanted Chardonnay to be the primary base for their champagnes—a bold choice, particularly for a new House, given that Chardonnay is the most scarce and most expensive grape in Champagne. Produced in substantially limited qualities compared to more mainstream champagne producers, each bottle of Champagne Barons de Rothschild rests in cellars for four to five years—where “darkness and silence reign in respect for the fine Champagne in the making”—before it reached the market. The Rothschild name is steeped in tradition, and while tradition and legacy play an important role in the production and quality of the champagne, Mairesse and the Rothschild family behind Champagne Barons de Rothschild have ensured that it is both relevant and revered in modern social circles. "We have partnered with brands like Chloé and Cartier, as well as the Longines Masters in Hong Kong," says Mairesse. 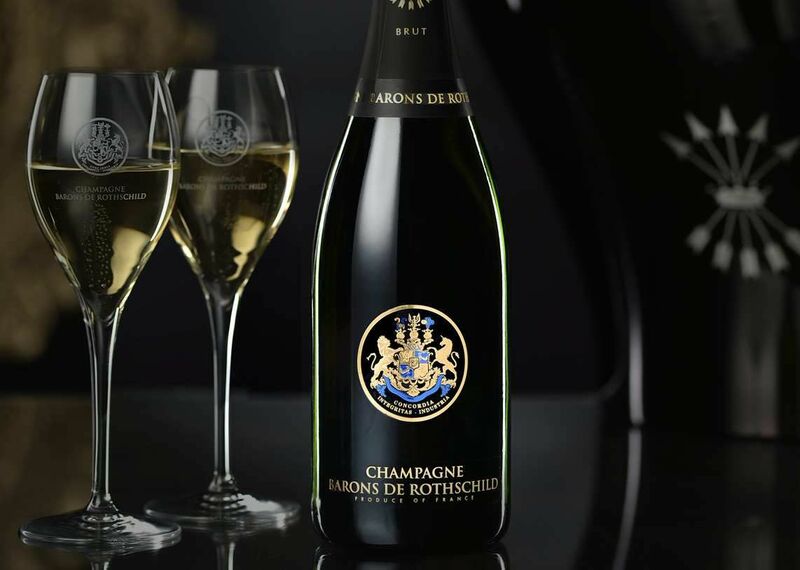 Distribution is also key in reaching the young elite, and Champagne Barons de Rothschild can only be found in the most exclusive restaurants, hotels and lounges around the world. "We try to achieve all the characteristics of elegance in one glass," Mairesse concludes. "From the quality and the taste to the packaging and the environment in which you are enjoying Champagne Barons de Rothschild."